OMG, this is ridiculous. I’m not buying the unfair search and seizure. Very interesting, thanks for posting Heidi. I’m siding with Franky on this one, too, Jonathan! Despite the public defender in me. I have a great appreciation for what K-9s can do, especially now that I have my Sophie in nose work classes. 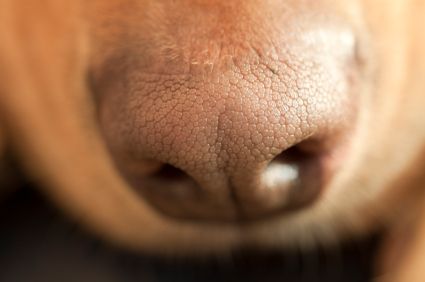 Dogs are excellent for airports, roads, and other public places, but not for your home. The final conclusion in this paper is lacking evidence backed by information in the article itself, “Franky has participated in 656 narcotics detection tasks, with 399 positive alerts.” The fact is that 257 of these alerts were reported as false hits, meaning that dogs are not 100% reliable. Would you want your door kicked in while being rushed with assault rifles because of a false hit? It would sadden me deeply if a young child was injured from standing behind a door when it’s rammed apart. This is america, because a dog barks, scratches, or sits in the presence of another animal in a persons home while they are cooking a meal doesn’t invite your home to be invaded according to the constitution. Thanks for your comments! Having been a public defender, I share your concern for false hits. But being a dog trainer and taking Nose Work classes with my dogs, I don’t agree that dogs are not good at detecting in a home setting. I am all for making sure that any police power is exercised reasonably. In Jardines, the officers did not solely rely on one alert by the dog. They had information ahead of time and conducted surveillance before they ever involved the dog. It will be interesting to watch how the court handles this case. Just a quick thought, wouldn’t the fact that the handler also smelled marijuana, plus the anonymous tip, be enough for the warrant? The dog, although was called in to signal whether or not the substance was there, was really just an after thought after the handler smelled it as well. Please correct me if I am wrong because after all I am just a legal studies major and this could really help me in my field of study! Danny, an officer smelling marijuana and an anonymous tip could provide probable cause for a warrant in some cases. But if the marijuana is far enough away and not burning or recently smoked, it is very difficult for an officer to credibly claim that he or she can smell marijuana. I had a case nol pros’d when an officer claimed he could smell unburnt marijuana that was hidden in a ziplock bag stuffed underneath my client’s jacket. The prosecutor was right to do so — I beat the officer up on cross examination in that case!